Get premium entertainment with the very best in movies, sports and family line-ups. Snap up the essentials for the true sports fans in your home with a great sports channel line-up. Keep watching your favorite teams during the regular season and beyond with over 600 live sporting events and so much more with Sports & Info Pak and Sports Pak 2! Your season passes for your favorite sports and teams are right here on Cox. Don’t miss a game all season with passes for the leagues you love, without paying for sports you don’t watch. The best of big league Major League Baseball is on COX with the hottest matchups all season long. When you can’t head out to the ball game, stay in for up to 100 out-of-market games every week. Kick up the sports action in your home. With the ultimate Major League Soccer package, you get every regular season and playoff game for all 23 teams! Enjoy front and center seats at all your favorite NHL games, from the comfort of your own (heated) home. 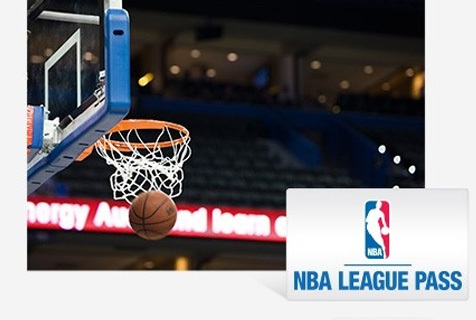 Reach a new level of basketball fandom with up to 40 out-of-market games per week, broadcast from the courts of the NBA to your home or mobile app. Now everyone in the family has variety with a channel line-up for moms, dads, movie junkies, and kids of all ages, available live, On Demand and on the go with Cox apps. 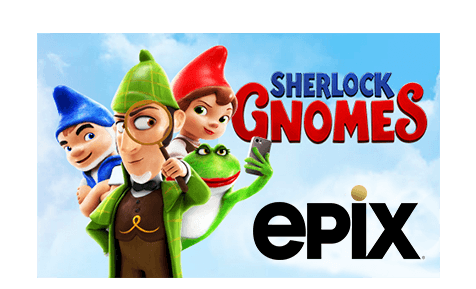 Have all the movie marathons you want with 1,200 movies per month and thousands of entertaining choices on EPIX®, several STARZ ENCORE® channels and more. Keep the whole family entertained with access to dozens of our most popular TV networks, like DIY Network, Disney Jr., Nicktoons, VH1 Classic, Cooking Channel, BBC America and more—all live, On Demand and accessible on-the-go with network apps. The Latino Pak includes great family shows, the hottest telenovelas and the most exciting futbol in the world. Looking for more channels, check out our available premium channels. Sports package subscriptions automatically continue from year to year at a special renewal rate, unless the auto renewal option is not accepted at the time of purchase, or the package is canceled before the start of the next season by contacting Cox. Other conditions may apply. Service is available to residential customers in Cox serviceable locations. See Cox TV sports packages service details. SEC Network is a trademark of ESPN, Inc. All rights reserved. NCAA and March Madness are trademarks owned or licensed by The National Collegiate Athletic Association. TBS, TNT and truTV are trademarks of Turner Broadcasting System, Inc. A Time Warner Company. All Rights Reserved. Cox Contour TV or higher subscription required for Movie, Variety, Sports and Information, Latino, and Sports Pak 2 Paks. The Movie Pak is the only additional pak that can be added to Economy TV. Prices exclude installation/activation fees, equipment charges, inside wiring fees, additional outlets, taxes, surcharges (including $7.50 video Broadcast Surcharge and Regional Sports Surcharge $2.60-$8.00/mo. depending on Cox market) and other fees. See Cox TV Sports Packages Service details. Blackout restrictions apply to sports programming. Sports package subscriptions automatically continue from year to year at a special renewal rate, unless the auto-renewal option is not accepted at the time of purchase, or the package is cancelled before the start of the next season. NFL RedZone and other NFL-related trademarks are trademarks of the National Football League. NHL, the NHL Shield and Center Ice are registered trademarks and The Game Lives Where You Do and the Center Ice logo are trademarks of the National Hockey League. NHL and NHL team marks are the property of the NHL and its teams. The NBA logo and team identifications are the exclusive intellectual property of the NBA Properties, Inc. and the respective member teams. Major League Baseball trademarks and copyrights are used with permission of Major League Baseball Properties, Inc. League Pass, Extra Innings, MLS Direct Kick and iN DEMAND are services and marks of iN DEMAND L.L.C. ESPN, ESPN Full Court and ESPN Game Plan are service marks or trademarks of ESPN.